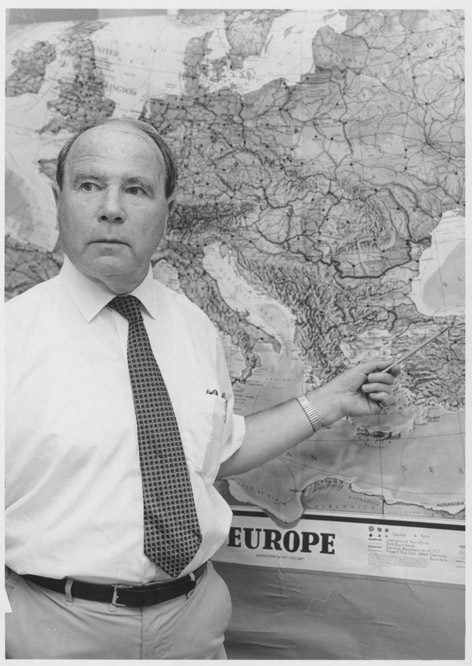 A scholar of international politics, Ferenc Vali left his native Hungary during the revolution of 1956 after five years of imprisonment for his political activities. Born on May 25, 1905, Vali was educated at the University of Budapest and London School of Economics (PhD, 1932), and worked as a Professor of International Law at the University of Budapest until his arrest. Following his escape and a brief period as Fellow at Harvard, he joined the faculty in political science at UMass Amherst in 1961. A popular lecturer, he became the first member of the Political Science Department to receive emeritus status in 1975. He died at his home in Amherst in 1984. The Vali collection includes both published and unpublished essays by Ferenc Vali on Hungary during the post-revolutionary years and idealism and realism in American foreign policy. Founded in 1975 by a group of Gilbert and Sullivan devotees, the Valley Light Opera is based in Amherst, Massachusetts. VLO presents one fully staged opera and one less formal production every year, and over the years the company has presented all fourteen of the Gilbert and Sullivan operas at least once. This collection contains a wonderful visual record of VLO productions with literally hunderds of photographs capturing dozens of performances. The collection contains, too, records that document the company’s activities from the moment an opera is selected to be performed to last curtain call. In the summer of 1967, members of University of Massachusetts Amherst campus groups, such as the Faculty Group on War and Peace and the Students for Political Action, joined with individuals from other area colleges and from the community at large to form the Valley Peace Center of Amherst for the purposes of opposing the Vietnam War, providing draft counseling, eliciting pledges from the government to avoid first use of nuclear and biological weapons, and reduction of the power of the “military-industrial complex”. The Center was active for more than five and a half years, drawing its financial support largely from the community and its human resources from student and community volunteers. Correspondence, minutes, volunteer and membership lists, financial records, newsletters, questionnaires, notes, petitions, clippings, posters, circulars, pamphlets, periodicals, other printed matter, and memorabilia. Includes material relating to alternative service, boycotts, war tax resistance, prison reform, environmental quality, and political candidates. During the early phases of second wave feminism (1968-1978), the Pioneer Valley served as a center for lesbian and feminist activity in western Massachusetts, and was home to over 400 hundred, often ad hoc, groups, such as the Abortion and Birth Control (ABC) Committee, ISIS Women’s Center, the Mudpie Childcare Cooperative, and the Springfield Women’s Center. The records of the Valley Women’s History Collaborative document the activities of these groups as well as the efforts of the founders of the Women Studies program and department at UMass Amherst to preserve this history. Of particular value are the many oral histories conducted by the collaborative that record the history of women’s activism in the Pioneer Valley, especially as it relates to reproductive rights. The Valley Women’s Union was established in 1974 by members of the Valley Women’s Center, Northampton, Massachusetts, who were committed to political change benefiting women. They were concerned that the Valley Women’s Center had become a static umbrella organization and that many of its formerly vital functions had been absorbed by local social service agencies The VWU sought to unify groups that were working for political change beneficial to women. Records include newsletters, agendas for meetings, reports, position papers, and mailings. J.M. Van Dusen Plumbing and Heating Co.Van Dusen, J. M.
Ralph Van Meter, the first president of the University of Massachusetts after it changed its name from Massachusetts State College in 1947, spent nearly 40 years learning, teaching, and leading on the Amherst campus. A graduate of Ohio State University (B.S., 1917), he came to the Massachusetts Agricultural College as a specialist in Food Conservation in 1917, serving in the Pomology Department first as a professor, and then as the head from 1936 to 1948. 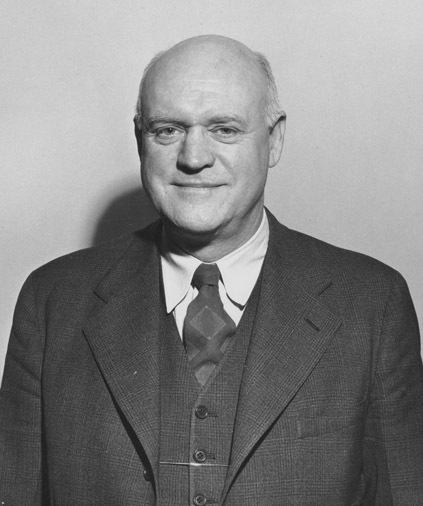 The Board of Trustees appointed Van Meter as Acting President in 1947 and President in 1948. He was responsible for a number of innovations, including the creation of the position of Provost (first held by John Paul Mather) and the establishment of new schools of business administration and engineering. Correspondence, memos, reports, clippings, and other papers, relating to matters at issue during Van Meter’s presidency of University of Massachusetts including the building program, World War II veterans, accreditation, and the university seal; together with published writings, biographical material, military records, and material from Van Meter’s inauguration as university president. 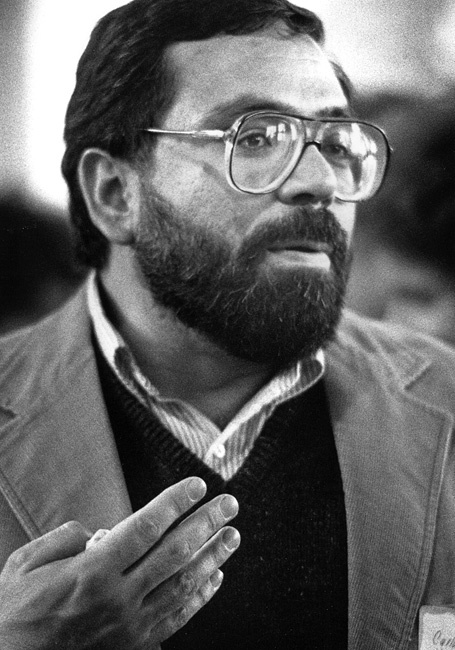 An Ecuadorian-born community activist, Carlos Vega moved to Holyoke, Massachusetts, with his family in 1955. Settling in the working-class “Flats” neighborhood at a time when many of Holyoke’s factories were relocating to the southern United States or Asia, the Vegas were one of the few Spanish-speaking families in the city, but when Carlos began to work on a local tobacco farm at the age of 14, he encountered the new influx of migrants from Puerto Rico who had been lured to the Connecticut Valley as agricultural laborers by the Department of Labor. With the Puerto Rican economy declining in the 1960s, many of these farm workers settled permanently in Springfield and Holyoke, but they soon discovered that the declining economy there combined with racism and urban decay blocked their hopes for upward mobility. Radicalized by the anti-colonial, anti-war, and Civil Rights movements of the late 1960s, Vega emerged as an important community organizer in the 1970s, working with Fair Share, New Unity, Urban Ministry, and other progressive organizations. With a backdrop of riots, arson, and racial tension, these organizations focused on issues relevant to the Puerto Rican community, particularly voter education and registration, fair housing, and education. In 1982, Vega helped found Nueva Esperanza, a non-profit community development organization whose mission was to restore and maintain blighted buildings in South Holyoke. He worked with Nueva Esperanza for over 30 years, continuing until 2010 after a brain cancer diagnosis in 1995. He survived until April 2012. The materials in this collection reflect Vega’s interests in left wing movements in Central America, the Caribbean, Asia, South America and Africa from the 1960s through 1980s and include leaflets, pamphlets, books, and newsletters. The approximately 300 items offer sometimes scarce documentation of internationalist liberation movements such as the PAIGC in Guinea Bissau and Cape Verde, the Tupamaros in Uruguay, and the EFLNA in Eritrea. Of particular note is a small collection documenting Vega’s participation in the 1974 Venceremos Brigade and a collection of clippings, newsletters, notes, fliers, conference material, and newspapers from various groups such as New England Action Research, Friends of the Filipino People, The Latin American Student Association, and the Ethiopian Students Union of North America. Some printed materials are cataloged and housed with the rare books collection. After receiving his doctorate from the University of Rhode Island for a study of the physiology and ecology of tintinids in 1984, Peter G. Verity joined the faculty at the Skidaway Institute of Oceanography. As a Professor of Biological Oceanography, Verity was interested broadly in the ecology of plankton and trophic interactions in the pelagic food web, studying the process of eutrophication and dissolved oxygen in the water column among other topics, and conducting a significant long-term analysis of nutrient variation in estuarine waters. Becoming deeply concerned about the future of oceanic environments and the accelerating decline of coastal ecosystems as a result of his research, Verity took on an increasingly active role in educating teachers about environmental issues. For his efforts, he was awarded the Nick Williams Award for Coastal Sustainability from the Center for a Sustainable Coast. Verity died unexpectedly at home on Dec. 31, 2009. An important resource for marine ecology and scientific study of the environment, the Verity Papers contain an array of correspondence, research and grant proposals, manuscripts of papers, reprints, and notes of meetings.